The Beatles 50 Years Ago Today: June 19, 1968. Beatles Radio: The Beatles, Solos, Covers, Birthdays, News The Fab 4 and More! The National Theatre's stage version of John Lennon's book In His Own Write, directed by Victor Spinetti, had its début at the Old Vic Theatre on London's Waterloo Road. 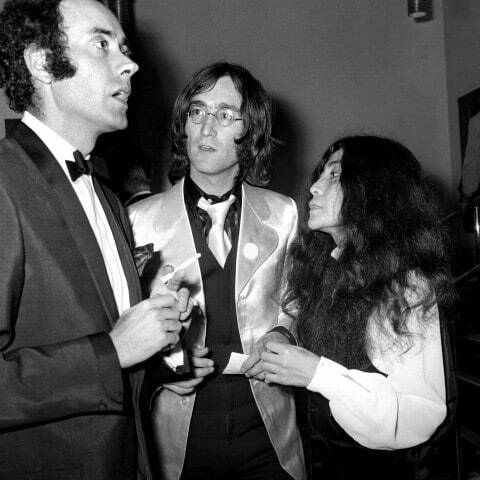 Lennon's arrival with Yoko Ono caused much fuss among the journalists and reporters present. Although the pair had first appeared in public some weeks earlier, the news of Lennon's marriage ending was still largely unknown. Also at the play were George and Pattie Harrison, and Ringo Starr and his wife Maureen. Paul McCartney chose to attend the opening of another play, starring his fiancée Jane Asher.